This is a cover version of Fleetwood Mac's "DREAMS" done by EVE'S BURDEN in a modern country style. This is a cover version of Fleetwood Mac's "DREAMS" remade by EVE'S BURDEN in a modern country style. This single is from the upcoming album A CHECKERD PAST. 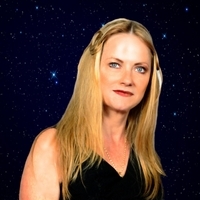 Vocalist Sharon Jordan breaths new life into this classic rock tune from the late 70's. called "Eve's Burden". I recently had a chance to speak with Singer Sharon Jordan and guitar player / producer Jerry Leal, about their latest single, an alternative country style remake of the classic hit song from the 70's by Fleetwood Mac and Stevie Nicks called "Dreams." chomping at the bit for anything new from the group. and Santana with a heavy funky edge to it. This was completely different! Let me first state that Fleetwood Mac was once my favorite band. I remember seeing them long ago when they were a British blues band with guitarist Peter Green. did a drum solo with his bare hands till he literally passed out and fell off the drum stool (that is how the show ended). After they added Lindsey Buckingham, Christine McVie and Stevie Nicks to the line up they left the blues behind and the sound became much more pop music oriented. I was blown away when I heard the “Eve's Burden” country version of “Dreams.” Here are the highlights from the interview with Jerry Leal. JL - "As you know my style of writing is much more complex than just 2 chords, I just do not have the patience to write a song without some complex changes. Maybe that's why we've never had a big hit. So instead I looked for a cover song that was a hands down hit song but also very a very simple one made popular by a female singer. LMN- Sharon: Your voice is usually so powerful and bluesy yet you do a great job of delivering this song in a country pop style, why the big change? SJ- "We all agreed this song should not jump right out and slap you in the face like most of our other stuff. After all it was already a gigantic hit so there's nothing to prove. We just decided to let the song do the work. I'm really not a pop singer anyhow but I am country at heart." LMN-Jerry: Was it difficult to make the switch from your rock and metal music roots to country? JL-"For me it did take some adjusting. This song is rooted in acoustic rock, that is not my normal thing. As for Sharon's vocal, we usually try to take the twang out of her voice but this time we just left it in and like she said, she is "country" at heart. Her mother's maiden name was Jordan and her father's last name is Jordan, It don't get no more country than that !" LMN-Jerry: This song has a great driving feel to it how did you accomplish that? JL-" Lots of tambourines. (laughs) No really the pedal steel guitar, piano and acoustic do all the driving. The drums and bass just lay down a solid groove and of course I could not resist putting down some of my signature lead guitar licks." LMN-Sharon : What are your expectations for this new single? LMN-In my humble opinion “Dreams” by “Eve's Burden” is a no-brainer radio hit for both pop and modern country radio stations to add to their playlist! Good luck guys and great Job!